Back in 1983, many people misinterpreted The Police’s massive number one hit, Every Breath You Take, as a love song. Sting explained that his biggest ever selling single is a dark song all about deep obsession. Michael Stipe was deeply inspired and wanted to write on a similar subject, and the result was Losing My Religion. Back in 1974 drummer Bill Berry and bass player Mike Mills were both in a band called Shadowfax, a couple of years later they became The Backdoor Band. In 1978 Michael Stipe formed his first band called Bad Habits with a few friends. The following year they became Gangster and recruited guitarist Peter Buck. In 1980, those four people got together and embarked on a new project and called themselves R.E.M. It took most of the decade for them to become commercially successful with their first UK hits, albeit minor ones, The One I Love, Finest Worksong, Stand and Orange Crush all missing the top 20. 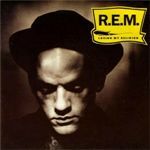 Then in March 1991 they released their seventh album, Out Of Time, and the debut single from it was Losing My Religion. Stipe explained some of his lyrics; “We’ve all been boxed in by our feelings (‘that’s me in the corner’) and felt emotionally exposed by our attraction to someone (‘that’s me in the spotlight’). We’ve all wrestled with what and how much to say and hoped that our feelings would be understood before we had hung ourselves out there too far (‘Oh no, I’ve said too much’). It can be an agonising experience. You’re dropping all kinds of hints, and you think that they’re responding to these hints but you’re not sure, until finally, all the uncertainty and emotional risk become too much, and you can’t take it anymore,” Or as Stipe would say, you reach the point of losing your religion. The band claims the song is not about religion or loss of faith, although the video is full of religious imagery. Some Catholic groups protested the video. It was, however, the first to show lead singer Michael Stipe dancing. The director, Tarsem Singh, hung out with the band to get ideas, and when he saw Stipe’s crazy dance style; he thought it would look great in the video. It did and it was based in part on Gabriel Garcia Marquez’ A Very Old Man with Enormous Wings. The novel tells the story about an angel who falls down from heaven and how the people who make money displaying him as a ‘freak show.’ Michael Stipe is a big Marquez fan and as the whole idea of obsession and unrequited love is the central theme of the author’s masterpiece, Love in the Time of Cholera. The first line of the novel is, ‘it was inevitable: the scent of bitter almonds always reminded him of the fate of unrequited love’. The video won a Grammy in 1991 for Best Short Form Music Video and another for Best Pop Performance by a Duo or Group with Vocal. In 1997 Bill Berry departed leaving the remaining three to continue as a trio. They managed a further 14 hits over the next 10 years including the top 10 hits, Daysleeper, At My Most Beautiful, The Great Beyond, Imitation Of Life, Bad Day and Leaving New York, with arguably the latter ones not having the impact of their early material. By 2007 they had racked up 39 UK hit singles and sold almost 90 million albums worldwide additionally that year were inducted into the Rock and Roll Hall of Fame. In 2011, they amicably decided they’d had enough and announced their split on their website.